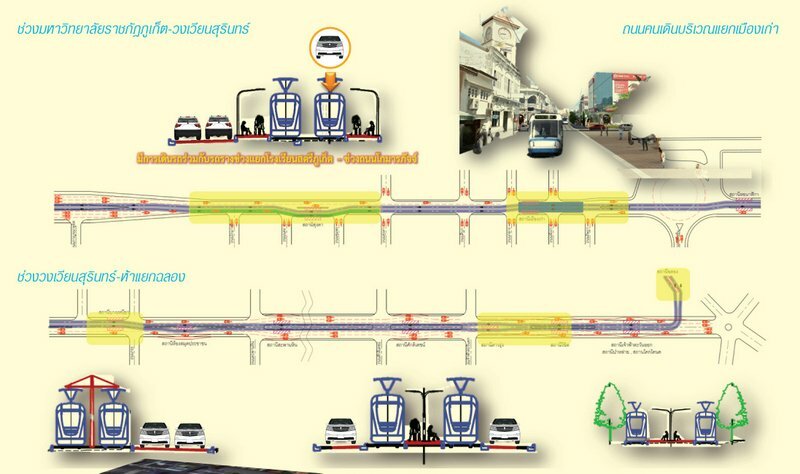 PHUKET: The Ministry of Transport has green its approval for Phuket to build the long-awaited light-rail system from Tha Noon in Phang Nga all the way south to Chalong Circle at a cost of B23.5 billion. 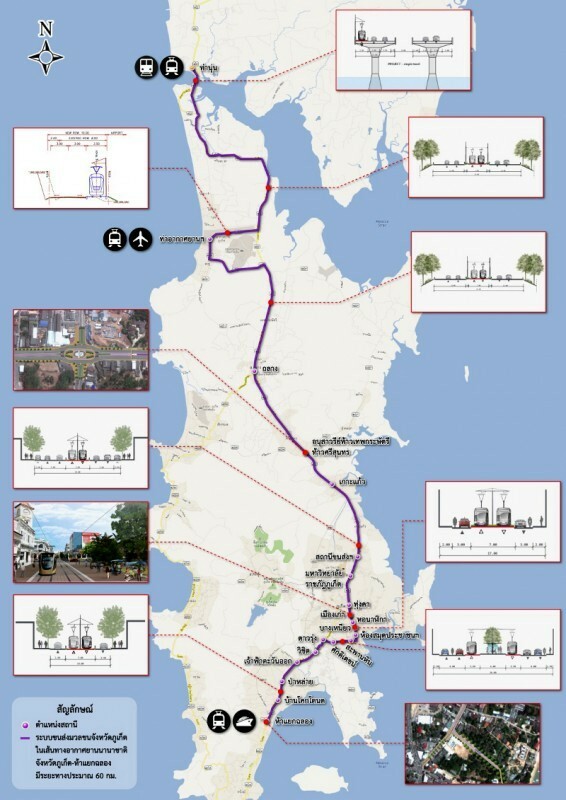 The light rail is likely to disrupt some traffic flow through Phuket Town. 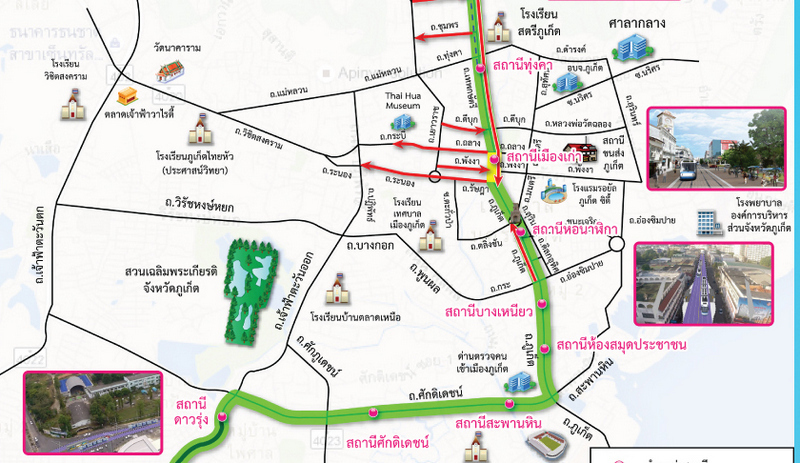 The light rail will start north of Phuket and end at Chalong Circle, passing Phuket Airport and Phuket Town en route. A diagram shows the proposed form of light rail and sample designs of tram stops. The ministry has also set its sights on completing the project by 2021, said Chaiwat Tongkamkoon, Deputy Director of the Office of Transport and Traffic Policy and Planing (OTP). 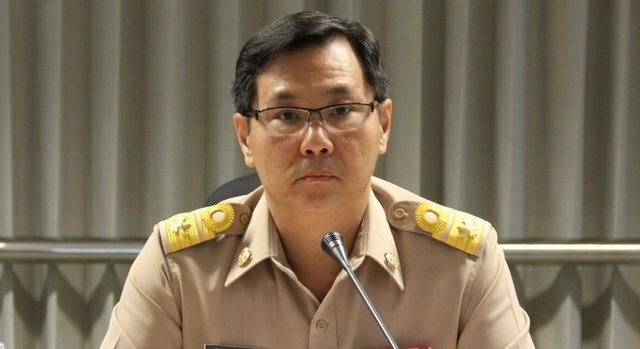 The OTP will gather all information and relevant details from the Highways Department, Department of Rural Roads, Airports of Thailand (AoT) and local administration offices before submitting a summary to the Ministry of Transport before the end of the year for the Cabinet to approve the project, said Mr Chaiwat. AoT is involved as the planned light-rail will connect with Phuket Airport, he added. 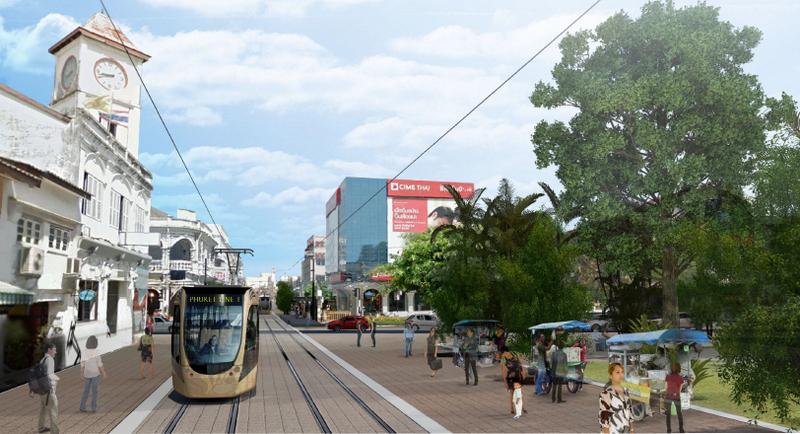 “The Ministry of Transport agrees with the proposal to build the light rail because this project can run along the main roads, there is no need to buy land from residents and the project will require only a low budget to maintain,” Mr Chaiwat explained. However, the government is reviewing expressions of interest in the project from private investors from China, Korea and European countries, he added. The rail line will start at Tha Noon in Phang Nga, on the north side of the bridges from Phuket to the mainland and terminate just north of Chalong Circle, passing through Phuket Town en route and covering a total distance of 60 kilometres. “There will be 23 stations and the project will be finished in 2021,” said Mr Chaiwat. “Once it is completed, the project will ease traffic congestion in Phuket, especially for tourists who take at least three hours to travel to the airport,” he added. “Within the first year, I think we will service at least 68,000 people per day and hope to generate about B5.3bn and in 30 years of operation, the railway will generate income B15.7bn. “Other benefits Phuket will get from the rail project, besides helping people to save money on transportation, include reducing traveling times, the number and severity of road accidents and air pollution,” Mr Chaiwat concluded.